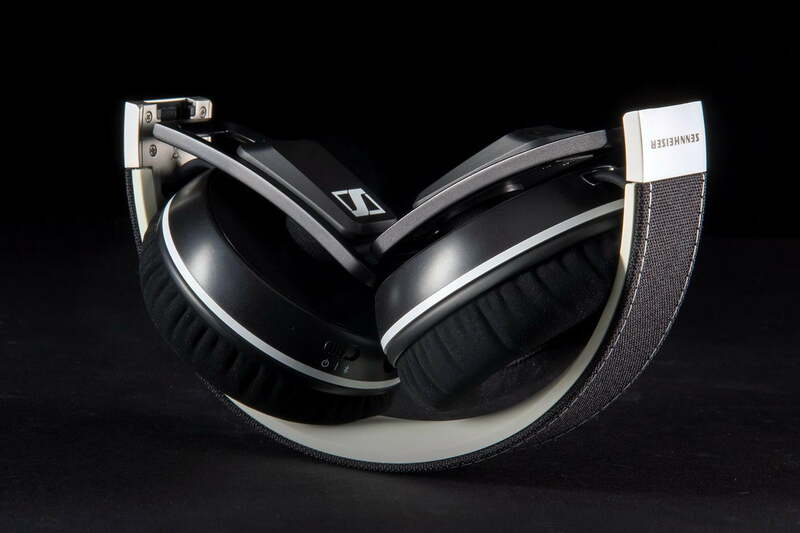 With bass nearly as booming and far more nuanced highs and mids, Sennheiser rivals the celebrity-endorsed headphones from Dr. Dre and 50 Cent. Wires are slowly but surely disappearing from headphones, with a number of manufacturers now getting into the act, stripping them off and going naked with their cans. 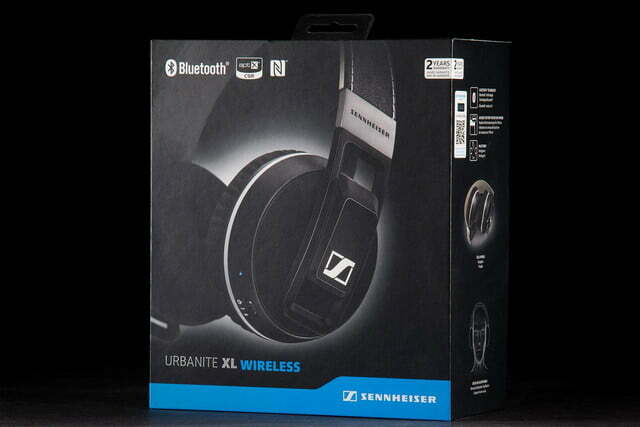 For Sennheiser, the Urbanite XL Wireless are designed to appeal to a wider array of users who like moving around untethered, including the younger set that wants a mix of flair and fidelity leaning on the bass side of the equalizer. Catching the attention of those users has been the company’s challenge, despite coming to market with products that perform better than those flashier competitors youngsters show off so ubiquitously. The Urbanite XL Wireless isn’t the new kid on the block, since it sports the same look, but it stands out because it belts out great sound without dangling wires anywhere. But can these cans perform? If you’ve owned a pair of Sennheiser headphones before, you won’t be surprised at the nifty packaging used here. 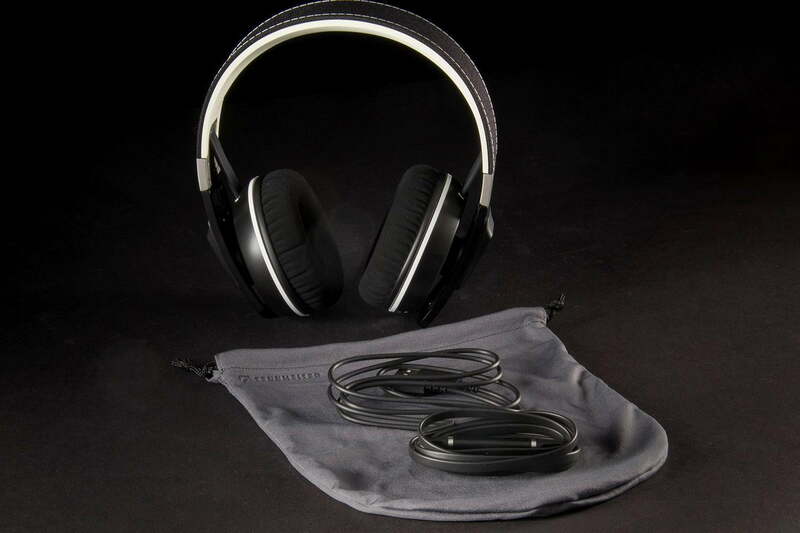 Lifting up the box lid reveals the folded headphones, perfectly nestled into contoured foam. In a slot underneath, we found the microUSB cable, 3.5mm flat headphone cable with playback controls, and a quick start guide. There’s also a thin felt case for covering the headphones, though they offer no real protection. Otherwise, there isn’t much else to go through. 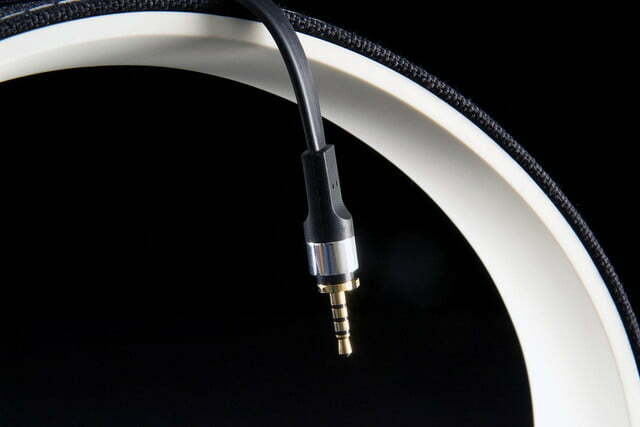 Unlike other headphones the company has released, there is no quarter-inch stereo plug adapter included. 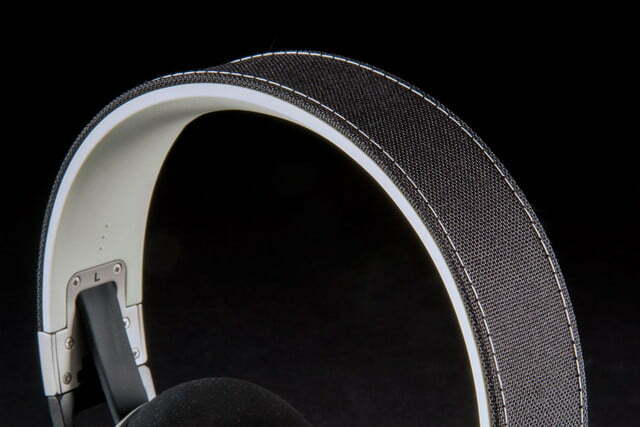 The headphones themselves have stickers over the outside where the headband meets the cups indicating the touch-sensitive controls on the right and the NFC tag on the left. This wireless incarnation of the Urbanite XL isn’t a real departure from its wired predecessor. The combination of stitched canvas, synthetic rubber, and plastic doesn’t necessarily sound premium, but these don’t feel cheap or look ugly by any stretch. 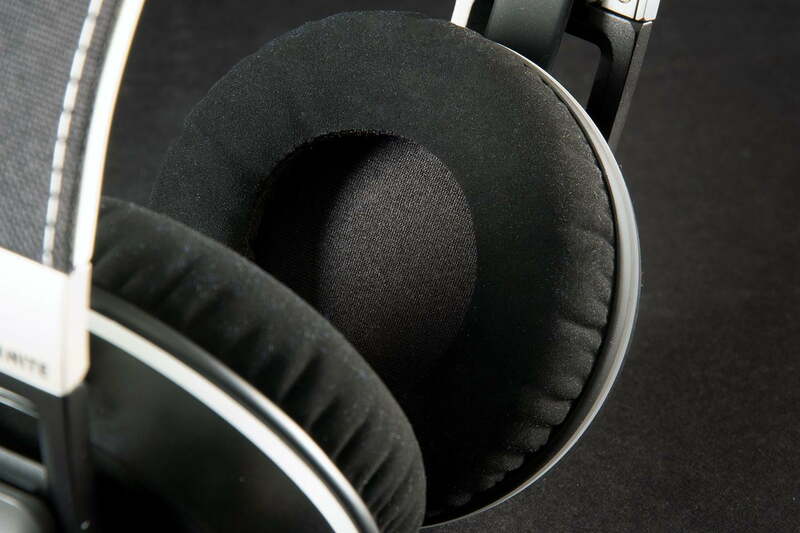 The earcups can fold inward but not to the side to flatten out, so while they can be reduced in overall size, they’re still a little bulky to throw into a small bag. The cups themselves can slide up along the flat cable for adjustment rather than the headband itself, which was the only way to keep the outside look intact and not affect the hinges. This wireless incarnation of the Urbanite XL isn’t a real departure from its wired predecessor. The headphones aren’t particularly heavy, and use a softer material for the cups that borders on something between felt and fake leather. 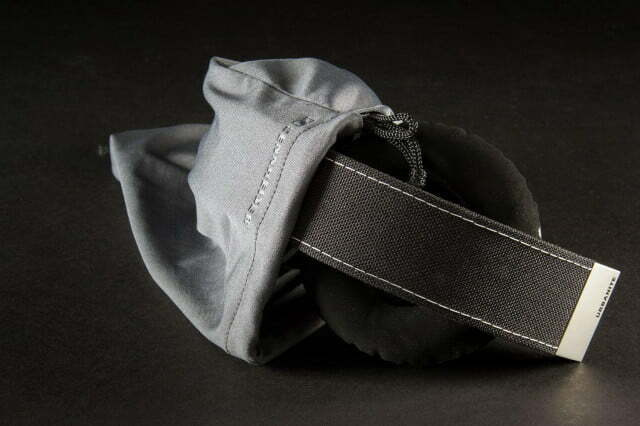 Coupled with the rubber inner headband, we were pleased with how comfortable we felt wearing them, even 45 minutes after we first started playing music. 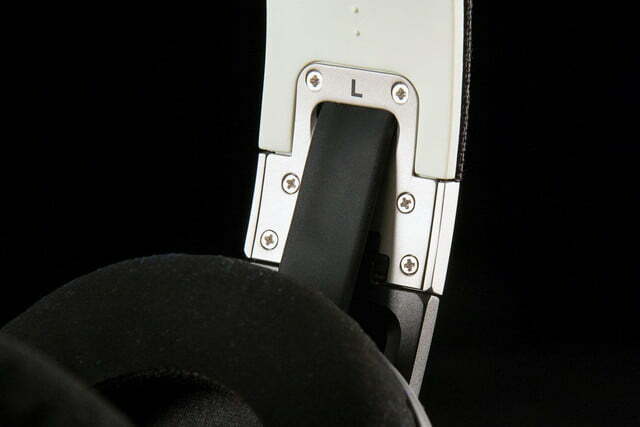 The right earcup houses the line-in jack for the headphone cable, along with the power button, Bluetooth switch, and microUSB port for charging the onboard battery. 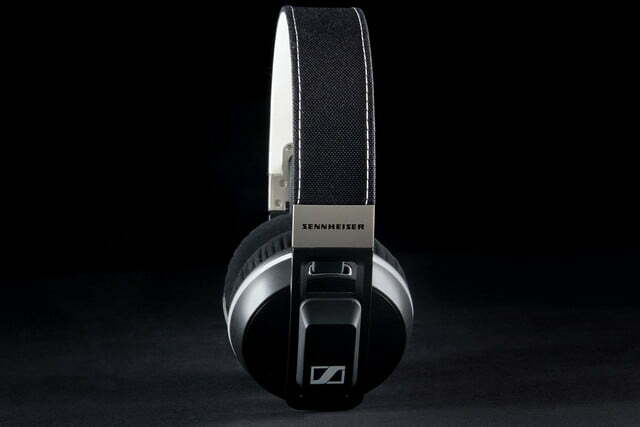 Sennheiser rates the battery at 25 hours but that’s taking into account the volume level, which is likely to be higher than usual most of the time. There’s also a small pinhole microphone for taking and making phone calls when connected wirelessly. 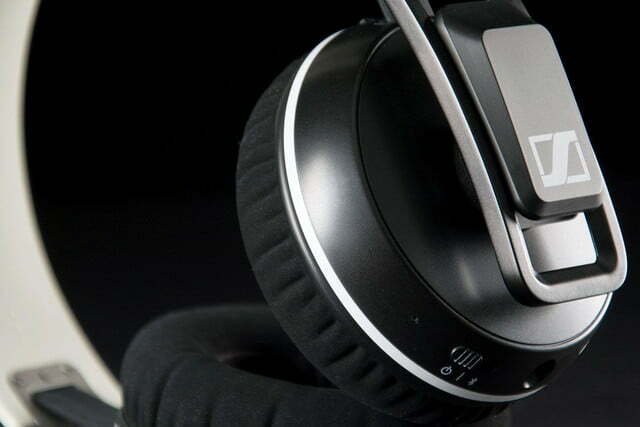 In keeping with the wireless focus, turning on the power for the first time also puts the headphones into pairing mode immediately, though tapping the outer left side with an NFC-enabled device is another option to do it quickly. In cases where we wanted to pair with other devices that didn’t have NFC, like the iPhone or iPad, we held the Bluetooth setting button down until we saw a flashing red light, indicating the headphones were discoverable. Once the cable is plugged in to go the wired route, Bluetooth is disabled to conserve battery life. The touch-sensitive controls on the right are functional only when in wireless mode; in wired mode, we managed to control playback using the controls on the included cable. 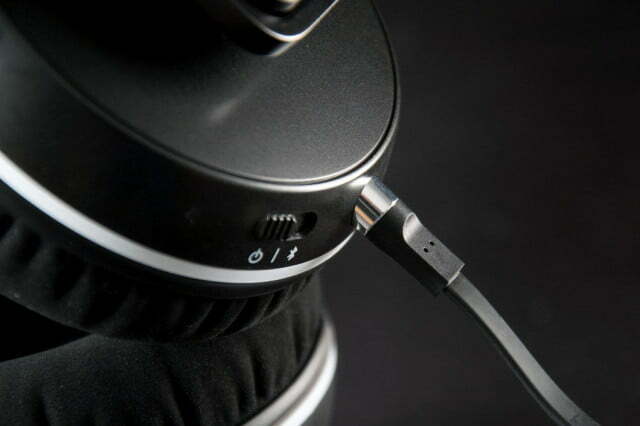 As is common in other headphones, there’s a volume slider along with a singular button to control playback. A single press plays or pauses, a double-press skips forward a track and a triple-press goes back a track. When the cable is plugged in, microphone duty moves over to the pinhole on the back of the controls for any hands-free usage. There is a restraint within the overall performance here that doesn’t take long to ascertain. Of course, gauging audio fidelity is very much a subjective experience, though it’s more obvious here simply because of who is supposed to be buying them. The bass in these headphones is fairly deep, though it never reaches the depths that Beats and SMS Audio’s 50 Cent headphones generally dive down to. 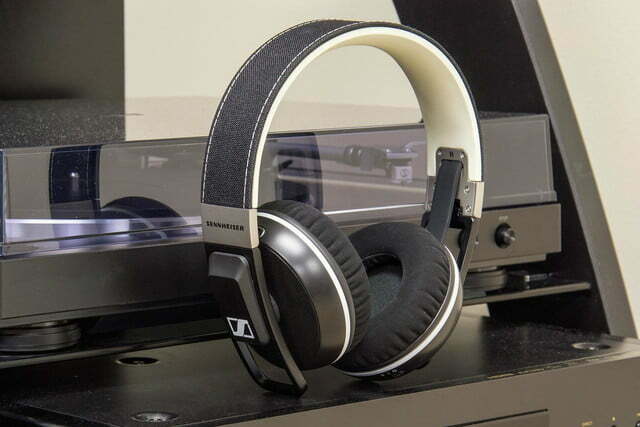 Stereo separation is usually one of Sennheiser’s strong suits, and while we didn’t feel like we got the same level as what we’ve been accustomed to with the Momentum and DJ lines, we still came away impressed. 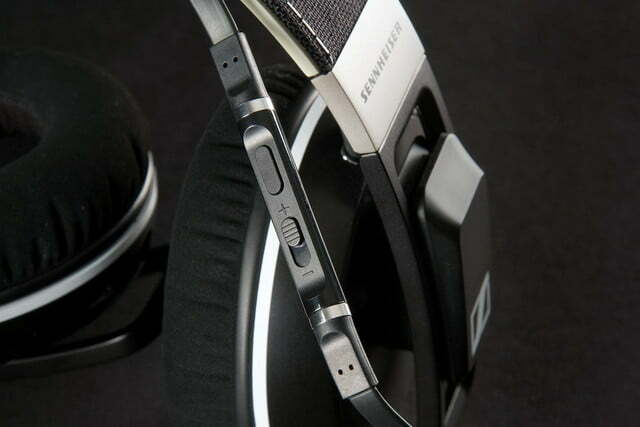 Clearly, the headphone’s engineers didn’t want to go too far in any direction, so the bass never really swallows up the highs and mids, or vice versa. Bearing in mind that Sennheiser promised “massive bass” when introducing the Urbanite XL Wireless, this is an important point. The bass in these headphones is fairly deep, though it never reaches the depths to which Beats and SMS Audio’s 50 Cent headphones generally dive. We certainly didn’t mind that, but we have no doubt that some users would prefer to hear more of a pounding. The difference worth considering is the rest of the built-in equalizer settings, however. Vocals and other non-percussion instruments come through crisper and cleaner than they do with comparable headphones from celebrity brands. In that respect, they follow in the footsteps of their predecessor, which offered solid bass complemented by a great balance across the rest of the spectrum. It didn’t matter if we were listening to lossless tracks or streaming from Spotify, Tidal, or SoundCloud, there wasn’t much to be disappointed with. Considering this type of performance was consistent in both wired and wireless scenarios, it makes the Urbanite XL Wireless a serious contender — these are among the best in this price range. 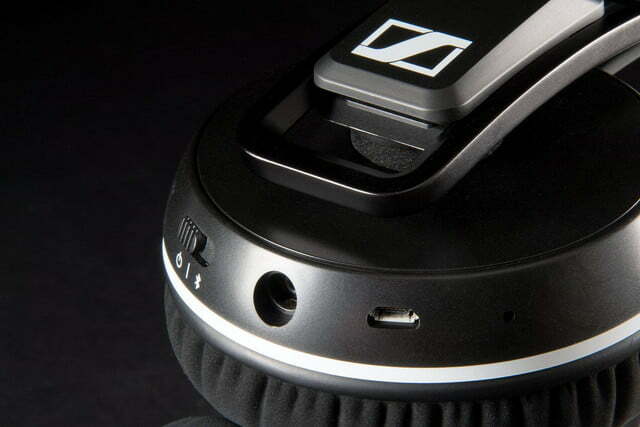 Incidentally, Sennheiser could’ve spent more time perfecting the touch controls. 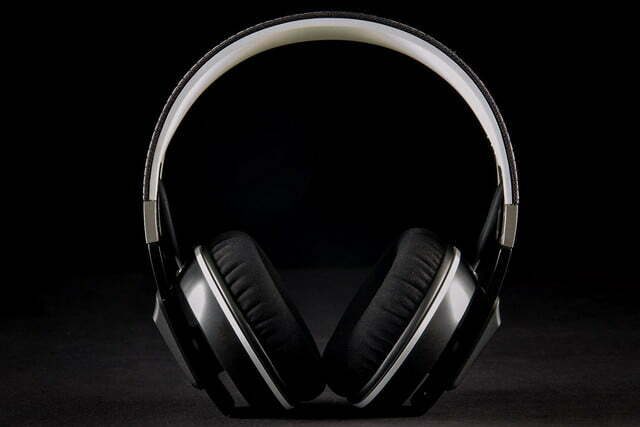 They lack the grace of those found in other headphones, like Parrot’s Zik line, for instance. On a few occasions, we accidentally paused, played, or fiddled with the volume as we were adjusting them for comfort. In other cases, we tried to raise or lower the volume, only to pause instead. 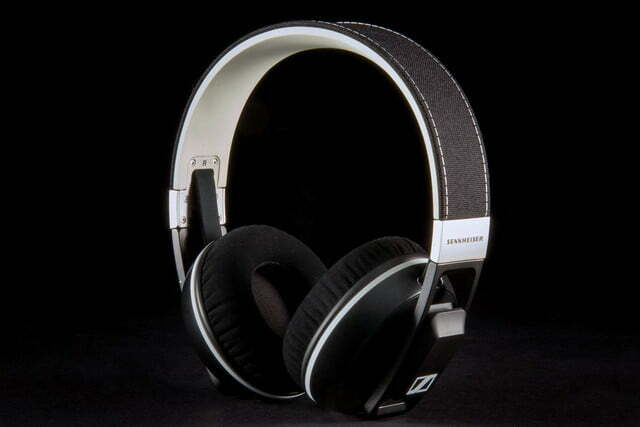 The lack of refinement is perhaps the most surprising element of these headphones. Eventually, we got used to them, but they always required a smidgen of attention to make sure we weren’t hitting something we didn’t mean to. We did like the battery life, which easily surpassed 20 hours at moderate volume levels. And charging it back up didn’t take as long as we expected, which was a nice bonus. 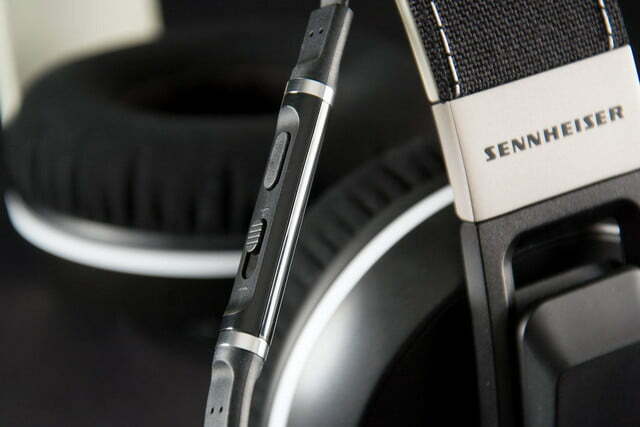 Given its audiophile legacy, Sennheiser has usually leaned more toward substance over style, though the company tries to fuse those together in the Urbanite XL Wireless. These are every bit the dance party earful any user — not just the young and hip — would be looking for, especially since they don’t discriminate against music genres that don’t rumble the floor. For those that care about being fashionable, you can’t really go wrong with the looks. Neutral colors go with everything, and the quality of the product from the inside out commands respect. So long as you don’t fiddle too much with the touch controls when eyes are locked on you, you’ll look just as cool as the guy wearing those bright red Beats cans. Only your tunes will sound much better. You can buy the Urbanite XL Wireless now at Amazon and other retailers for $300. Looking for the best new music? Each week, we find the most compelling new releases just for you. This week: The Tallest Man On Earth, Cage The Elephant, Lizzo, Pivot Gang, and Sad Planets.